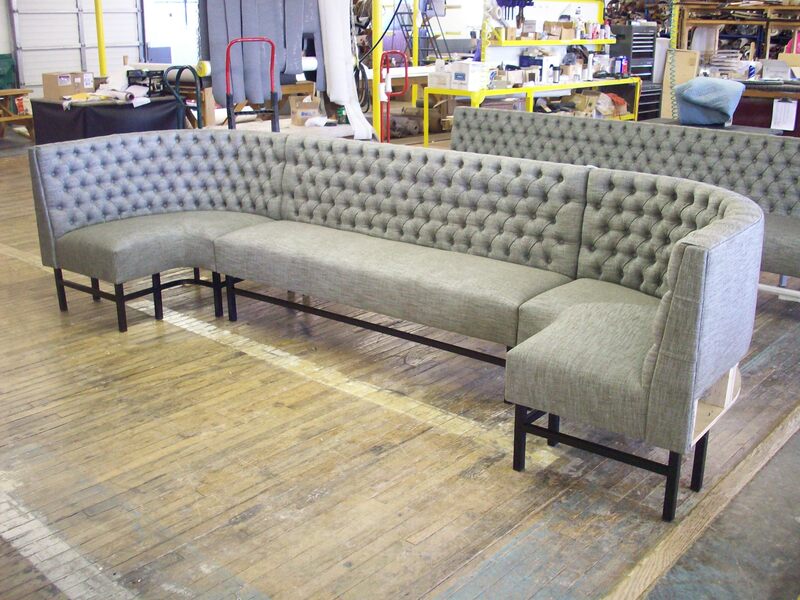 This custom designed banquette catches the eye! It is anything but ordinary! The custom metal legs really give this booth a sophisticated finishing touch! Check out just how creative our design customers can be….